It's all started with a Mount Everest expedition in 1953. 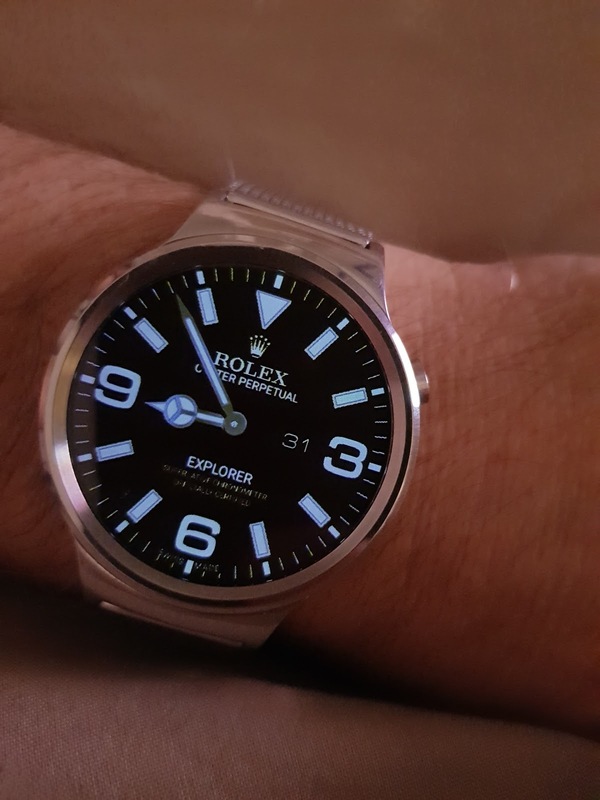 Now in 2017 I am releasing a watch face of the latest version from 2016 of the Rolex Explorer. I love this watch. It has everything I like, simplicity but still with a lots of details. I like the raised markers and all the shadows that's comes because of that. I like the distinctive numbers 3, 6 and 9. And I like the small hour markers above the larger ones that "glows" nicely in the dark thanks to the built-in "lume" that smartwatches already has. It works great with the added variable brightness. I also like the dark background that has some very subtle texture to it. And finally I like the detailed hands. Simply put, for me the Rolex Explorer is one of the most beautiful watches. And personally I think I've succeeded to put that beauty into a watch face for smartwatches. 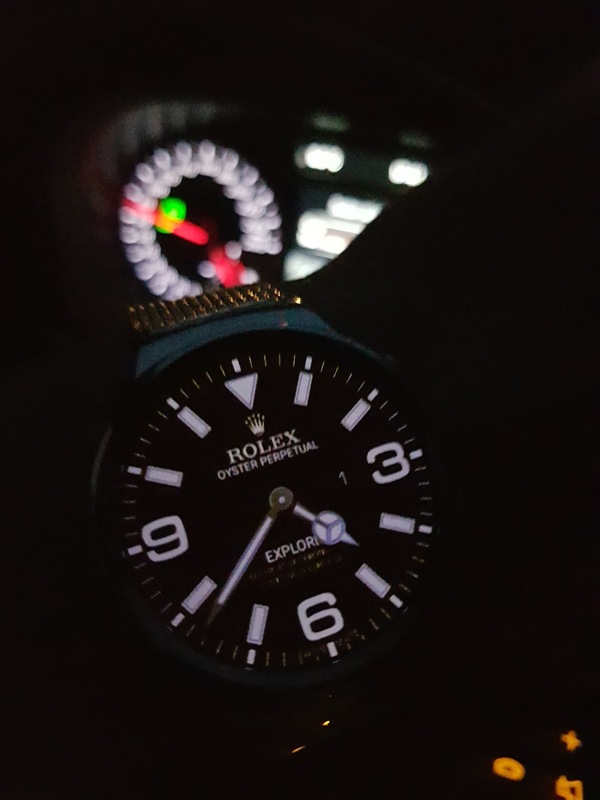 My goal was to make it function and look good on the watch and not only in the app (that's the main reason why I don't do bezels or chrono watches. I mean, my smartwatch already has bezels and a built-in chrono). Second hand shows battery level when dimmed. Tap below 6 (where it says "SWISS MADE") to choose between 7 different brightness levels. I added that placement very low on the display to minimize the risk of adding smudge and dirt on the screen. Enjoy this watchface made of 50 layers in the Watchmaker app!